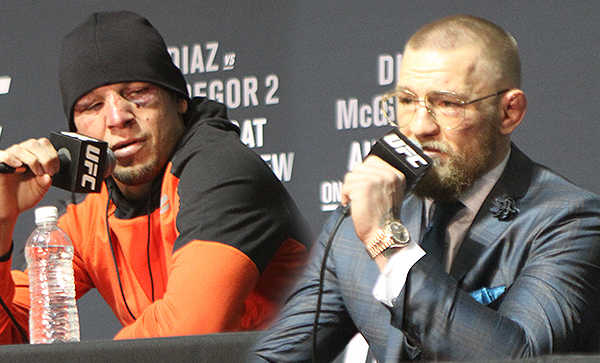 The highly anticipated rematch between Nate Diaz and Conor McGregor lived up to expectations, and then some, at Saturday’s UFC 202: Diaz vs. McGregor 2 event in Las Vegas, and it was accompanied by fighter salaries that matched expectations. Conor McGregor exacted his revenge, taking a majority-decision victory over Nate Diaz at UFC 202, plus he topped the fighter payouts that the UFC filed with the Nevada Athletic Commission. McGregor earned a $3 million payout for his main event victory, while Diaz wasn’t far behind at $2 million for the loss. Payouts fell off drastically after the main event with Anthony Johnson leading the list for the rest of the roster with his $270,000 payday for his co-main event knockout of Glover Teixeira. UFC 202: Diaz vs. McGregor 2 took place on Saturday, Aug. 20, at T-Mobile Arena in Las Vegas.